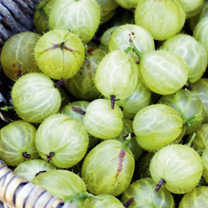 Lush green gooseberries from June to July, on compact plants which are ideal for small gardens. Delicious flavour - recommended for pies, jams, preserves and freezing. Resistant to mildew. 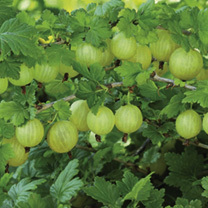 Supplied as 2-year-old plants. Height 100-150cm; spread 100-150cm. Supplied in a 2 litre pot.